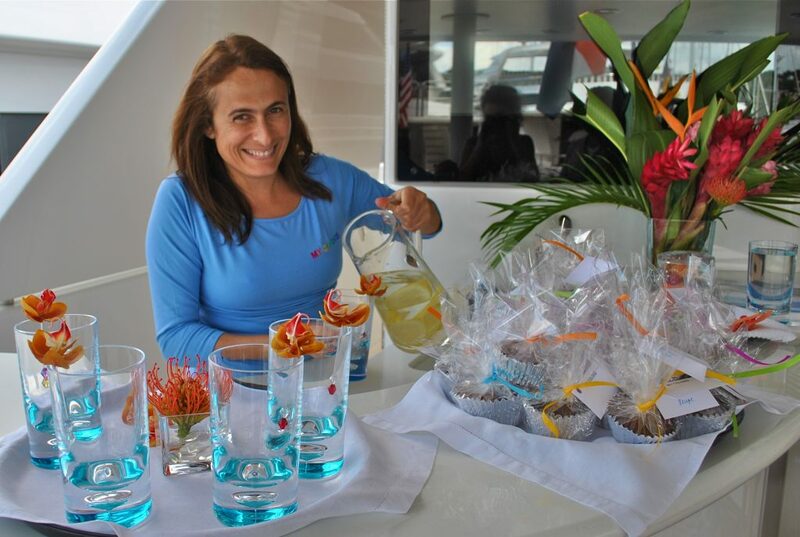 Charter Yacht Show Tips: Top Broker Lists! 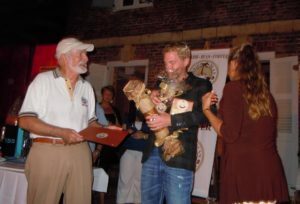 Charter Yacht Show – Display your yacht. Make a lasting impression! Charter Yacht Show is your best marketing opportunity. Brokers want repeat clients. They prefer to present yachts and crews they know personally and trust. Wherever your yacht is based there is an annual charter yacht show in the region. Take the opportunity to showcase your yacht. Because in a competitive business it is tough to stay on top. Charter Yacht Show exposure will help you get there, and keep you ahead of the fleet. 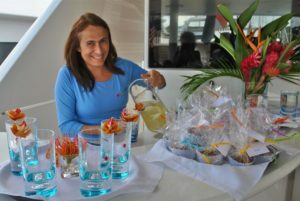 Charter yacht show events let your charter style shine. Say yes to the Chef’s Competition! Potential clients are always concerned about meals on board. Yacht Hops reveal your playful side. 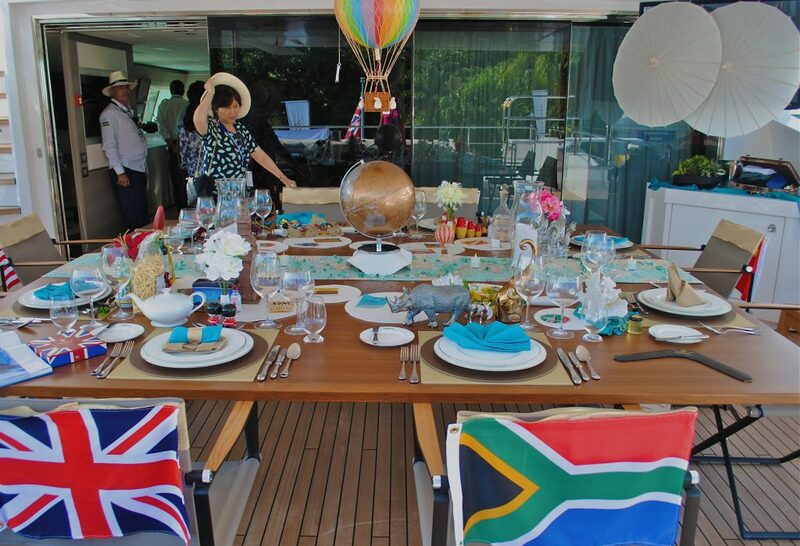 Therefore, pick a theme that reflects your charter style. Also you can plan an event of your own. Keep it simple to allow time to talk to brokers. Host a buffet breakfast or a cocktail party. These events give brokers the chance to appreciate your special qualities. They can imagine what it’s like to be a charter guest. 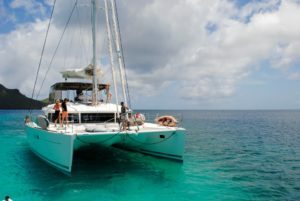 This allows them to make that perfect match between clients, yacht and crew. 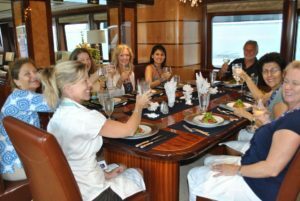 The Select Yachts team will help you arrange invitations to broker luncheons, cocktail parties, personalized tours and press coverage of your yacht. Our goal is to make sure you have a successful show. 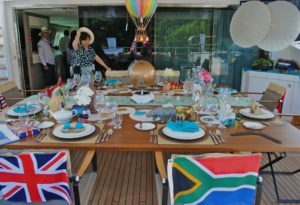 Held before the show opens, a buffet breakfast gives brokers the opportunity for a casual chat with Captain and crew, and a leisurely inspection of the yacht. Hosting a luncheon or dinner gives charter brokers a more intimate experience with the Captain and crew. 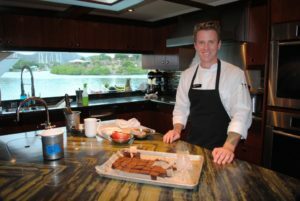 The Chef should prepare a typical guests’ menu so that brokers can sample the daily fare. Select Yachts invites brokers that have booked your yacht, or who are interested in booking. Please consider that afternoons are often uncomfortably hot for brokers. Eating in the air-conditioned saloon can add to the ambiance and overall presentation. Hosting afternoon tea is likely to encourage brokers to linger on board. By tea time, brokers walking the docks are tired, and welcome an iced tea, or english tea, with finger sandwiches, cookies and cake. 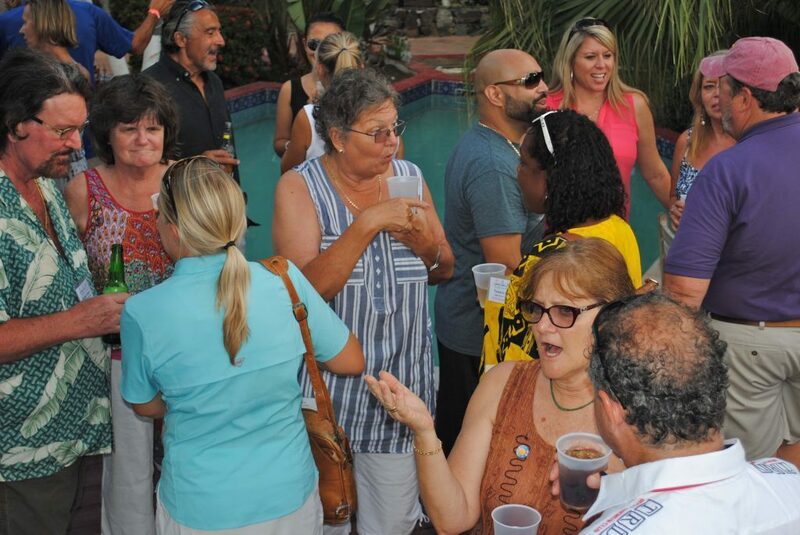 Hosting a cocktail party is an excellent opportunity for the crew to spend relaxed time chatting with brokers. Keep things simple, offer one or two signature cocktails and assorted canapés. 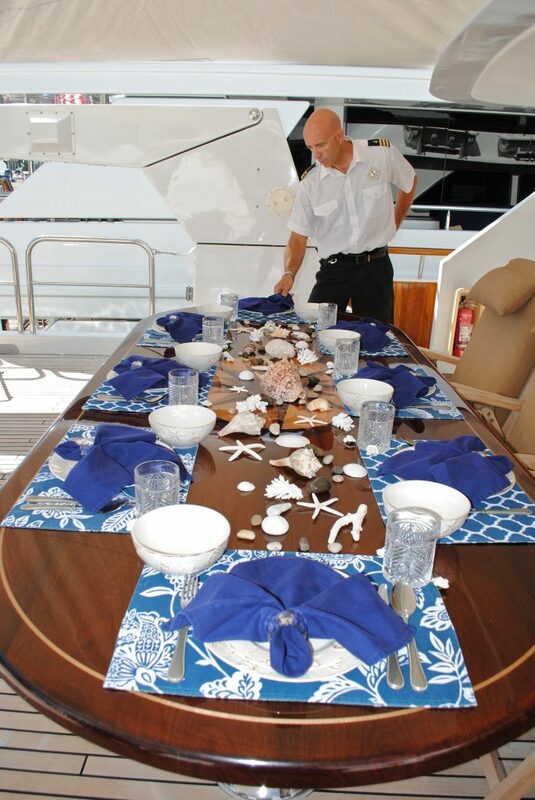 Offered on the last day of show, this is one of the best ways to simulate the experience of charter guests. Plan a half day cruise with snacks and drinks. 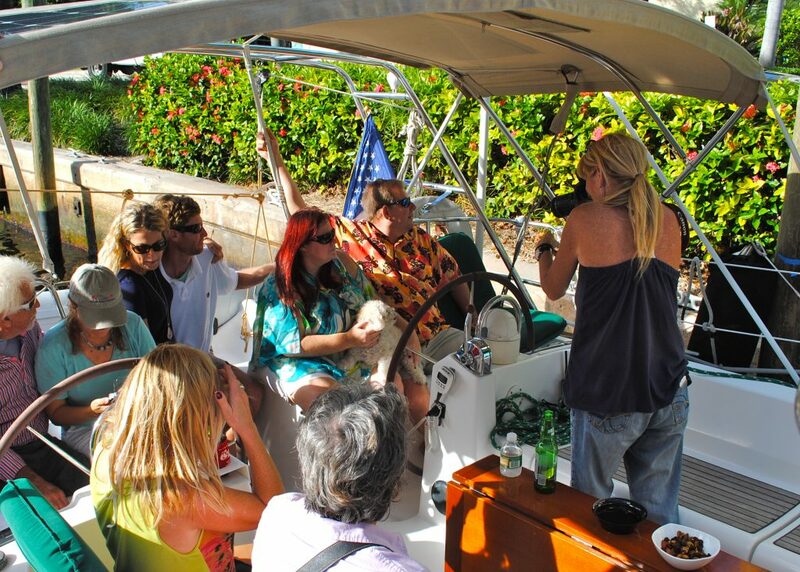 With first hand experience, brokers can honestly and enthusiastically promote your yacht. The most time-consuming but the most effective marketing is to host brokers on a familiarization trip. This can be scheduled before or after the show. You decide the duration based on your calendar, the location and cruising conditions. Scheduled events by organizers vary depending on the size and location of the show. Large charter yacht shows usually have a yacht hop and chef’s competition. 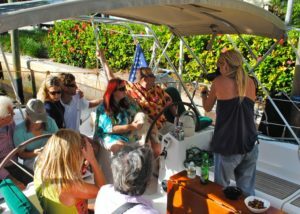 Smaller shows organize a cocktail party or dinner event that is open to both brokers and crew. 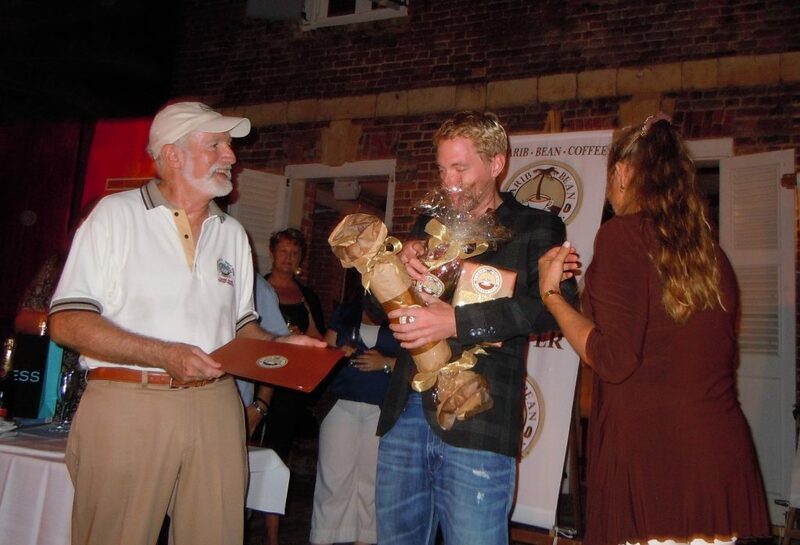 Participating in these events gives your yacht and crew exposure to the largest number of attendees and the press. Yacht Hop – Participate in this fun-for-all event – themes and fancy dress encouraged! Brokers “hop” from yacht to yacht sampling hors-d’oeuvres and cocktails and chatting with the crew. This is a social event and few if any brokers will want to do an inspection. A party theme allows crews to show off their creativity, decorate, dress in costume, and serve signature cocktails and party snacks. Chef’s Competition – Attended by the Press and Show Sponsors. This is a prestigious and highly competitive event. Check deadline dates for registration by the Chef. Win that award! Table Setting Competition – an opportunity for the Chief Stew and crew to transform the formal dining room for a special occasion or theme. Let Select Yachts know if you register to participate in these events. We will send out announcements and invitations in advance. Charter Yacht Shows are held worldwide. We have listed the Charter Yacht Shows 2018 that boast the greatest charter broker attendance. If these are inconvenient to your location, contact us for information on open house opportunities in your region. Please let us know ASAP what shows you plan to attend. We provide banners, show materials, send out broker invitations to your special events, arrange for photography and videography on request, and assist in any way we can. If crew would like to participate in prestigious competitions, make sure your application forms are submitted by the deadline date. The information is usually posted 2-3 weeks before the Show with guidelines, and you can read more on the websites. Here are a few things to keep in mind when doing boat shows. Remember, the Brokers take with them what they see, either positive or negative. A crew member should be on deck at all times to invite/assist brokers on board. Otherwise brokers may assume the yacht is not open for viewing. The passerelle can be challenging for senior brokers to negotiate. Please do not leave crew shoes outside the yacht. Brokers will think there are already brokers aboard and will pass your boat as a courtesy. Graciously offer something to drink. Not many will want alcoholic beverages. Have cold water, Perrier, juice and a small selection of sodas. Ask if they want their beverage in a glass, or in the bottle, should they want to take it with them. Give a personalized tour. Point out your favorite/special features of the boat. Any mechanical, communication, navigational upgrades are a great thing to mention, as that is something brokers cannot see. Please ask the broker for their card. You should keep track of who visited the boat. A thank-you follow up to the broker is always a nice idea. Provide Select Yachts with a list or photo of business cards so we also know who was aboard. Brokers take photographs. Have the yacht polished, decks clean, and personal items out of site. While nice floral arrangements are terrific, fruit baskets, decorative place settings, guest baskets in the heads, etc, make a lasting impression. Display all your water toys and gear! Make your yacht as appealing as you would if charter guests were about to step aboard. The cleanest boat in the world cannot pass the smell test if something is not right! Do whatever is necessary! If there was a disaster before/during the show, such as a fuel/septic spill, don’t pretend it does not exist. Instead, make a comment to the broker about what happened so they do not think this is a perpetual problem! 1.) Personal appearance: You are on display as well. Neat clean matching uniforms, name badges, no visible tattoos or body piercings, pleasant smiles. 2.) Stay on the boat. Even if it seems slow, you never know when an important broker will show up! There is a crew party after the show…you can visit with friends then! 3.) At show parties and events you’re still part of the show. Dress neatly, wear name badges, talk to brokers, don’t drink too much! 4.) Don’t make any negative statements. The brokers are there to form an opinion. A gracious, can-do attitude gets charters! In conclusion, having brokers on board, and developing positive relationships, is the best incentive for them to recommend your yacht! Select Select Yachts! We know the Ropes!